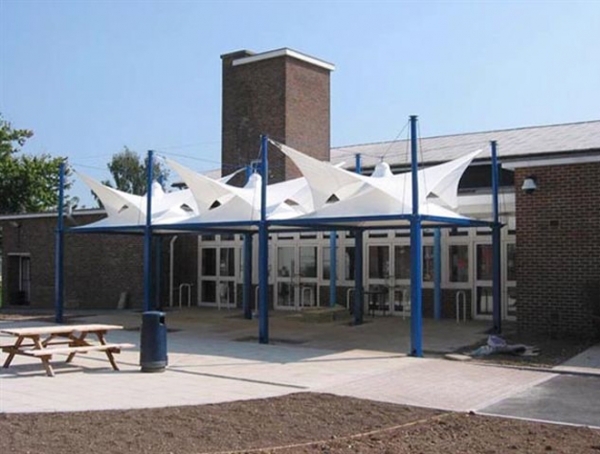 The pagoda canopies are a generally a cost effective solution in covering spaces both temporary or permanent and we have wide range in different shapes and sizes to suit every occasion from schools and colleges to private house and commercial applications. The frame work most generally made of hot galvanised steel is highly robust and provides the core strength of the canopy. 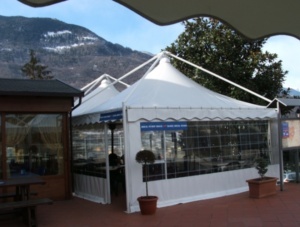 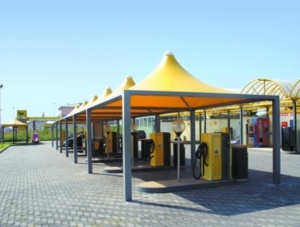 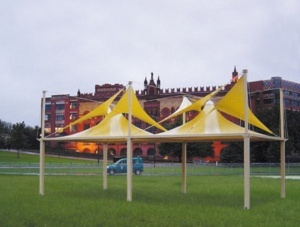 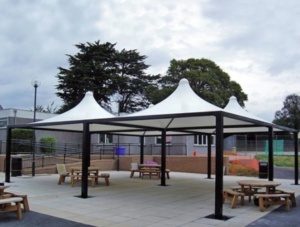 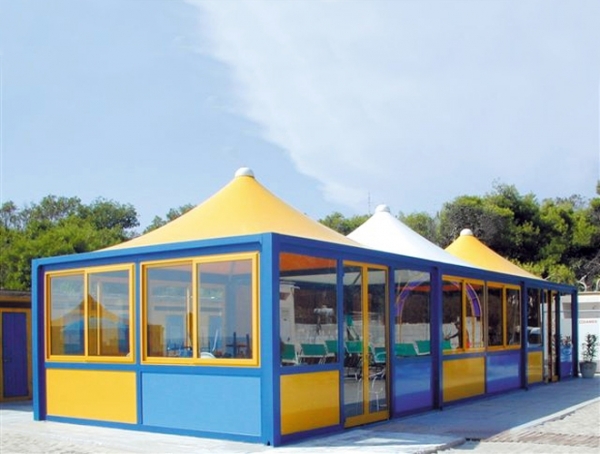 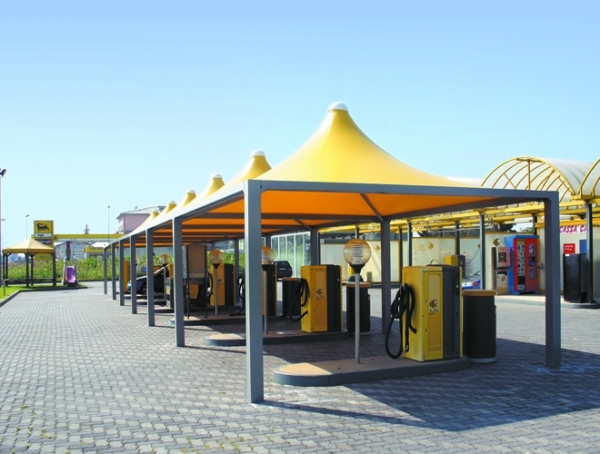 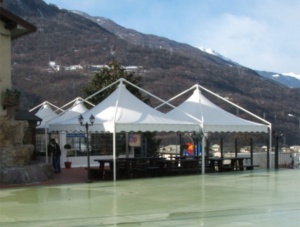 The canopy is 100% UV resistant, waterproof and fire retardant to British Standards and European classification. 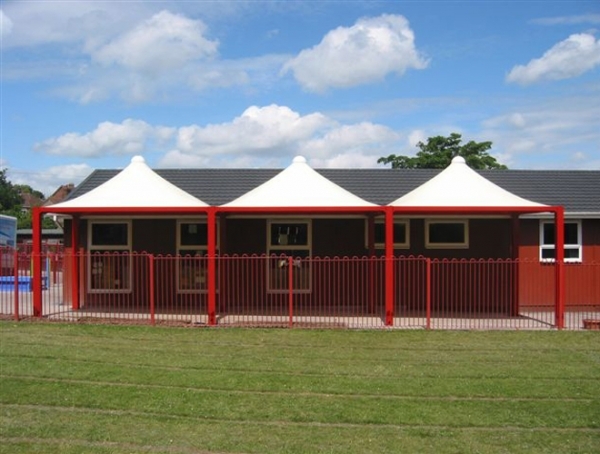 Being modular in nature and having the option of integrated guttering, the pagodas can be linked to cover large areas effectively. We can also integrate other solution to cover the side, lighting and heating to enhance the ambience within the pagodas. 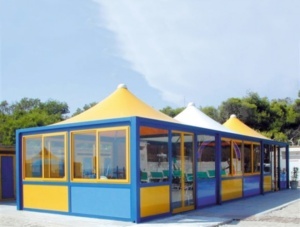 There are various models to choose from and it totally depends on the application, fixing options, budgets etc. 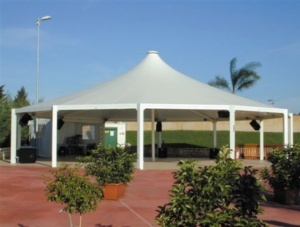 Bespoke Pagoda structures can also be made subject to design constraints. For further information or to book for a free site survey and consultation, please call us on 07546 343499 or 07546 343411.